Want to make a man fall in love with you forever? Of course! You absolutely can make it happen by applying a few simple tips and tricks. You might be asking this question because you like a guy very much and you are looking forward to him feeling the same for you. He’s the man of your dreams, and you adore him. You want him by your side right now but unfortunately you still don’t have him. You’re willing to do whatever it takes for him to chase you, like you, get attracted to you and fall madly in love with you but it seems this is a huge undertaking for most women. In this article you will get to learn some of the basic and not so basic things that girls can do in order to attract a man to their side and make him fall in love with them. Smile and laugh. When you are working on ways to make a guy fall in love with you, it is essential to smile and laugh. Don’t present an unfriendly face. Be as outgoing, jovial and social as you feel comfortable being. Guys generally like girls with a sense of humor who can make them feel good. Tell him enjoyable stories, and don’t be afraid to laugh. In trying to achieve this, remember not to go overboard and look like a comedian. It is great to have a partner who is enjoyable and outgoing, but very few people like the idea of living with a comedian. You have to give, and not just take, to increase your chances of him falling in love with you. A man can easily differentiate between a girl who wants something from him, and one who cares for him. There are certainly girls who are after money (gold diggers). Let him also put some extra effort in. If you keep chasing after a man for months while he is going on with his activities, you’ll most likely be seen as a desperate and worthless woman. Being available to him always is not really a good thing. Don’t let him get bored. Instead allow him to make advances towards you. Many men enjoy the thrill of the ‘chase’. Catch his eye and his attention, and then let him work a little to win you over. Let him notice how much he misses you when you are not around. 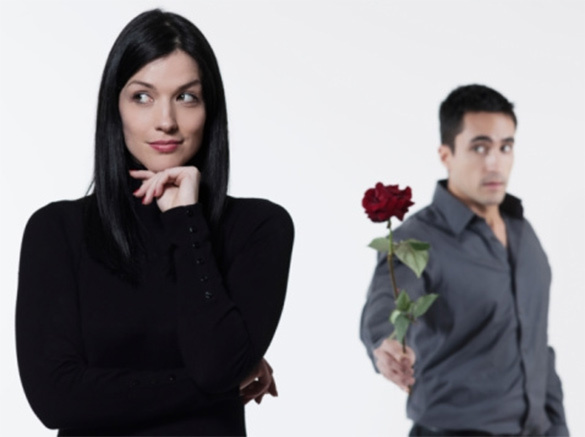 As soon as he suspects he’s falling in love with you, he will definitely do something to get you. Get to know (and understand) what he does. This is something that could dramatically increase your chances of winning his love. Take opportunities to get involved in things he does. Ask him whether he needs any help to accomplish a task. If he discovers that you are keenly interested in his plans, he will see that care for him and that you could be a good partner. Have patience and don’t push him too hard to make important decisions. Patience will definitely pay off. Be patient and go slow when trying to make a man fall in love with you. Don’t expect him to fall in love or say yes to your advances instantly. Many men will definitely need time to decide whether he is ready to enter into a relationship with you or not. If he likes you, he will make it obvious. But don’t ever push him to make a quick decision on whether he loves you or not. Be different from other women. If many women are competing for his attention and are trying very hard to make him fall in love with them, differentiation will definitely give you the cutting edge. Give or show him tangible or intangible evidence to suggest that you are the best option for him. Don’t be too possessive before he commits his love to you. Many women make the mistake of being too possessive of the man before he even commits his love to them. When this is the case, she may try to protect him from other women so that she remains the only woman in his life. This is a strategy that is doomed to fail. Allow him to decide on what is best for him and if you are the one for him, he will definitely fall in love with you. Have good morals. Good morals are a necessity in convincing a man to love you. Nobody wants to get involved with someone who can’t be trusted. Men like women who are disciplined and are not pushovers. Behave maturely towards him and be respectful of him, just as you expect him to be respectful towards you.